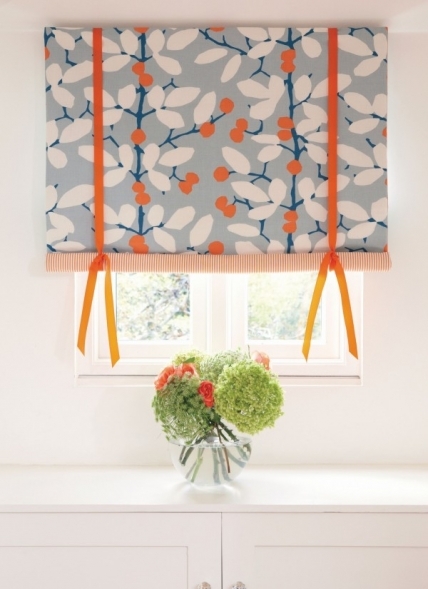 With its contrast lining and grosgrain ribbon ties, this roll-up blind looks fresh and contemporary, and is easy to make. Our technique for attaching the hook and loop fastening tape at the top ensures that no stitches will be visible on the right side, making it super professional. Choose a fabric to match your colour scheme, and get stitching right away.